TV networks are a bastion of movement... receiving news, and sending news as quickly as possible, and anything such as a slow satellite feed can cause a panic as the networks compete to deliver news ahead of their competitors. Crystal, a provider of advanced software control systems, and Artel, a provider of real-time multimedia delivery solutions, have teamed to solve a vexing signal acquisition challenge for a leading global news network, which consumed valuable staff time in its broadcast center. The network downlinks a large number of contribution satellite feeds every day to feed its news operation. Many come from familiar sources, but networks must frequently acquire a satellite feed in which the parameters of the signal are unknown, or have been incorrectly conveyed by telephone. Accessing the feed then requires a complex process of trial-and-error by skilled technicians to arrive at the right configuration. 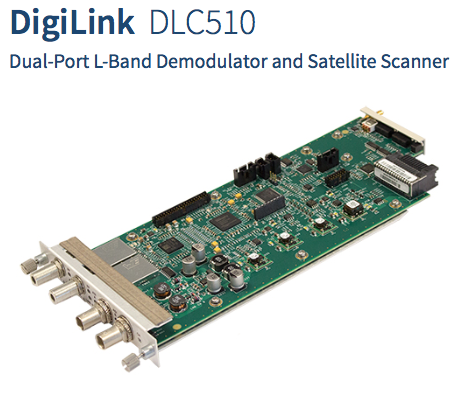 To address this challenge, the network recently acquired the InfinityLink media transport platform equipped with the DLC510 L-Band Demodulator and Satellite Scanner from Artel. The device enables satellite operators and engineers to scan and locate active signals on a satellite and display their configuration. Successful installation of the DLC510 reduced the time required to acquire an unknown signal from up to an hour down to about 15 minutes. Though the equipment delivered a major improvement, it still required time for manual operation of the DLC510, and in the news business, every minute counts. The network has long managed contribution and distribution using Crystal Control, a network management system (NMS) from Crystal. 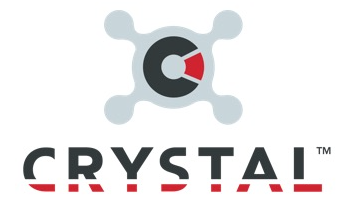 Crystal teamed with Artel to more fully integrate the DLC510 into the network’s systems. The result was an automated process taking as little as 15 seconds. The Crystal Control system routes the incoming signal to a spectrum analyzer to identify the rough center frequency, with the results displayed in the control room through Crystal’s analyzer interface. The signal is then routed to the Artel DLC510 along with a command from the NMS to target the center frequency. Crystal Control captures the signal parameters from the unit and makes them available for input into an IRD to accurately demodulate the news feed. Crystal CEO Roger Franklin noted that this news network probably receives more feeds with unknown parameters than most broadcast operations, but it is a problem at some level for all broadcast centers receiving feeds from the field. The Crystal-Artel solution turns a continuing headache into a reliable, automated operation. Rafael Fonseca, Vice President Product Management at Artel Video Systems added that this is a great example of collaboration between vendors and their mutual customer in support of the customer's efficiency and cost improvement initiatives. The flexibility of Crystal’s NMS combined with Artel’s DLC510 remote controllability provided a powerful operational tool for their customers.